Whether you're looking for a re-design, new custom design, entry-level design, more functionality, a website salvage, you name it - we can do it and we cater for pretty much any budget. Best of all, all websites developed by us get plugged into our Morphogine Platform. Check out the following page for a list of the Morphogine Platform features. We have talented designers who can knock out stunning designs that meet client design requirements. We definitely recommend this route if you're interested in a higher-end look. The menu items and content in the design are easily changeable using our Morphogine Platform. If you're on a medium budget and/or would like a more attractive design than our entry-level offering, then premium is the way to go. We have several thousand premium design concepts to choose from. The premium designs are a starting point, are highly customizable and generally don't bear any resemblance to the original design once we're done customizing them. Take a look at the Premium Web Design Concepts. 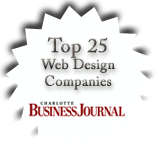 If you're on a tight budget, or need a functional website up quickly, then entry-level design is the way to go. We have several designs to choose from - the look can be customized slightly. Design changes are generally limited to color changes, logo and banner photo insertion. If you already have a website and would like to keep your existing design, then that's not a problem - we'll just plug your existing design into our Morphogine Platform. If you've been unfortunate enough to deal with a web developer that has promised you the world, but hasn't been able to deliver, or has terrible customer service, then this is the option for you. We'll take your website, plug it into our Morphogine Platform and fix all the problems, and we have excellent customer service. We get a lot of business this way - unfortunately there are a LOT more "shady" developers out there than legit ones. The menu items and content in the design will be easily changeable using our Morphogine Platform.